Crowdsourcing navigation and traffic app is just one of the latest advertising opportunities for local businesses. While users share real-time traffic conditions, advertisers have a unique opportunity to attract new customers during a finite time — traveling from point A to point B. While on Waze, which has over 50 million global users, drivers can actively report on traffic, accidents, police traps, roadblocks, weather conditions and more. The app collects this information to provide other “Wazers” with the most optimal route to their destination. The more people that drive with Waze, the better the navigation. And the whole goal, according to executives at Waze, is to shave 10 minutes off any car trip. While Waze is a social app in that multiple users are on the platform at any given time, it is not a leisure app such as Facebook or Instagram. Users actually want to get somewhere, not just pass the time. The hook for advertisers is the promise that Waze can drive people right to the marketer’s doorstep. Brands have four different formats to chose from when advertising on Waze. Branded pins are like digital billboards, informing and reminding users that your business location is near or along their route. Tapping on the pin reveals the creative – a logo, icon, or other image, as well as more information on the location. One more tap initiates a drive to the location. Users also can save the location, save the ad for later, save an offer or even place a call. Zero speed takeover is a large canvas revealed to the driver when their attention is highest – once they come to a complete stop. The creative reveals location information. Action items include save location, save for later, save offer, or call now. Neaby Arrow is when a signpost is shown in the first moments of the user opening the app, indicating that your business is nearby. Tapping the arrow moves the map to the closest pin, revealing creative and more information about the location. One more tap initiatives a drive to the location. Action items include save location, save for later, save offer, or call now. Search is when an advertiser’s location will be promoted to the top of the search results, and includes the brand logo. Tapping the logo reveals brand creative and more information about the location. Like other formats, a second tap initiates a drive to the location. Action items include save location, save for later, save offer, or call now. Advertisers can track activity on the pin collecting the number of Wazers you reach each day. Advertisers only pay if their pin is displayed to a user on a map. Targeting can be specific: tourist vs. local; by language; location; and by what is happening, such as weather, traffic, route length and time of day. 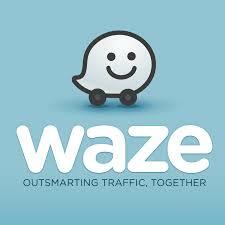 Advertising on Waze is relatively easy, signing up directly on the brands website. Advertisers can set their own monthly budget and designate what they are willing to spend for each 1,000 impressions (CPM).